Hampden Gallery. University of Massachusetts, Amherst. Wood, Fire. 1999. Varying heights, 5′ to 5′ 8″. 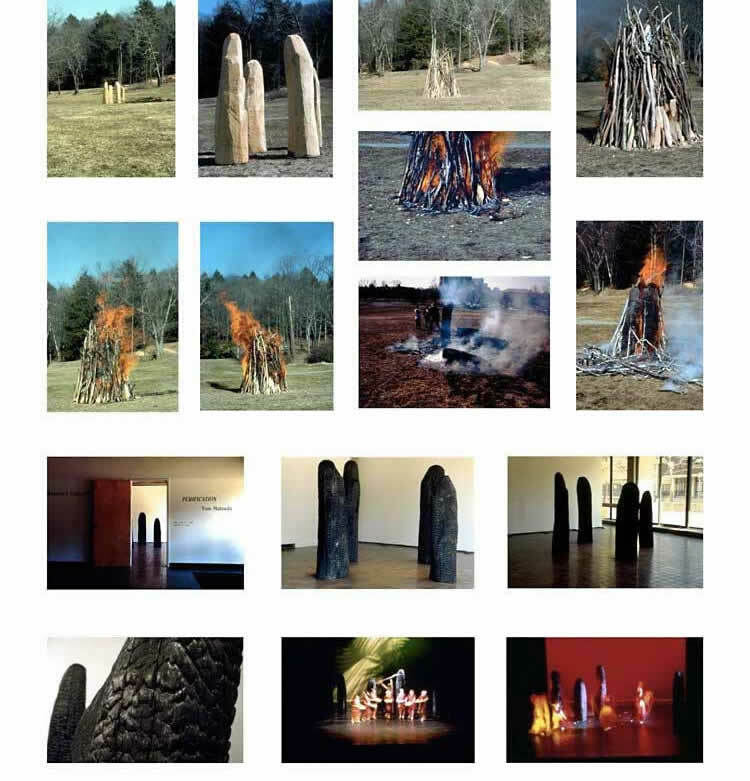 Burning performance and sculpture installation. One Person Exhibition, Purification. Bowker Auditorium. University of Massachusetts, Amherst, Wood, Fire. 1999. Varying heights, 5′ to 5′ 8″. Asian Dance and Music Program, and the Nataraj Indian Dance Troupe: ‘Pooja, the Five Elements in Prayer’.